If you are considering camps for next season, the best time to visit and evaluate them is while they are in session. With some careful planning, it can be a defining experience in selecting the most appropriate camp for your child. Not Every Tour is the Same! There are open houses, group tours with specified times, and individual tours. Call ahead to camps of interest to understand the tour options that work best for you, including week day or weekend visits. Many camps offer a trial day, or days, for younger campers to experience camp. Some have a fee; others do not. A Rookie Day may either be part of a tour, with your child joining some campers of the same age in an activity, or it may be scheduled at a separate time. When available, space is limited and these tend to fill early. Call to inquire available dates. Weekends are the most popular and busiest times; consider a midweek appointment if possible (but not a trip day when campers are away – especially the age group of your child for next summer). Find out who will give the tour and whether you will have the opportunity of meeting with the Director(s). Ask about the duration of the tour. Narrow down the number of camps you want to visit through preliminary research and include only those that are of the most interest and appear to be the best fit. If the tour is around the same time as Parent Visiting Days, or camp start/end dates, keep in mind that it might be difficult to secure lodgings in the vicinity of the camp; make your reservations as quickly as possible. Who should go on the tour? Definitely your future camper, but consider if the traveling and walking involved is going to be too much for any younger siblings. Airline fares are high in peak summer travel – evaluate if driving is a better option. Consider adding on a day or two to your trip to get a sense of the area; the camp location could lend itself to a great family vacation pre/post camp. 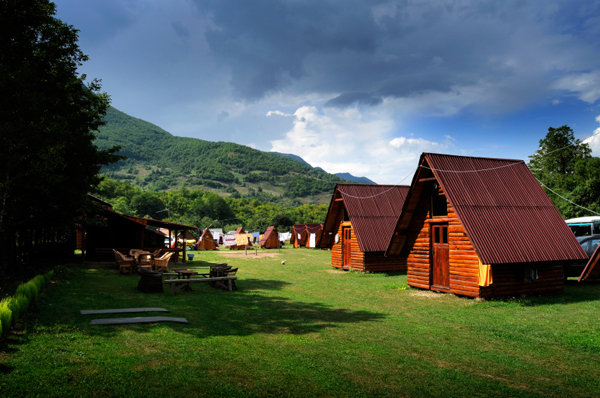 What are the distances between camps, if you are visiting more than one? Allow for traffic and weather delays when combining visits. Plan to visit no more than two camps a day – one in the morning and one in the afternoon. Review all the camp information and watch the camp video in advance of your visit, and then prepare ahead of time and bring with you a written list of questions for each camp. Pack comfortable walking shoes, sunscreen, hats and rain gear for your camp visits! Camp terrain and climates change. Make sure you have the camp Email addresses and telephone numbers when traveling. Be considerate and respectful of the Camp Directors’ schedules. Be on time and call in advance, if your plans change or you are delayed. Be rested, well-fed, and hydrated with bottled water for your visit. Be accepting of the possible impact of weather on the planned tour. Ask to watch campers in your child’s age/grade range. Observe the interaction between the campers, staff, and especially the Director(s). Inquire about the programming, activities, instruction, trips and special events for your child’s age group. Check out bunks for your child’s age; some messiness is normal and acceptable (especially in between activities), but the overall condition of bunks and all facilities are important factors to consider. If the bunks don’t have inside toilets or showers, find out where they are located. Learn about the camps’ safety, emergency, and bullying policies. Ask about the out-of-camp trip policies. Check out the medical facilities and staffing, and inquire how they handle illness outbreaks, along with their policies. Remember, spend your limited touring time observing and watching, experiencing the camp culture and getting a sense of the Director(s). Questions that remain unanswered can be addressed post-camp season.